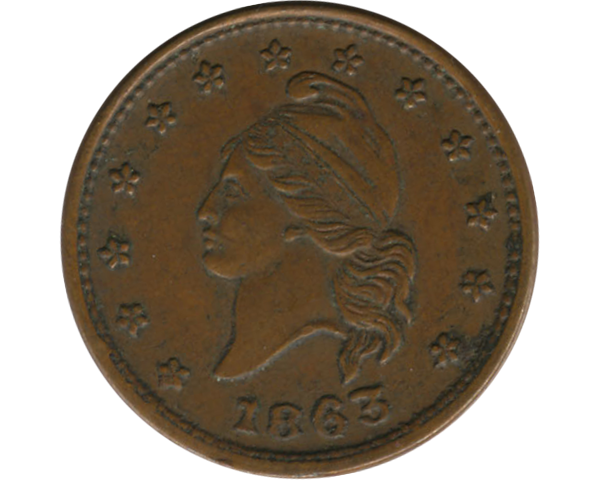 This is a "patriotic" Civil War Token, minted by various private concerns when the war made real coins scarce. Some were advertisements for businesses, and some (like this one) were called "patriotic" tokens, since their message wasn't commercial. 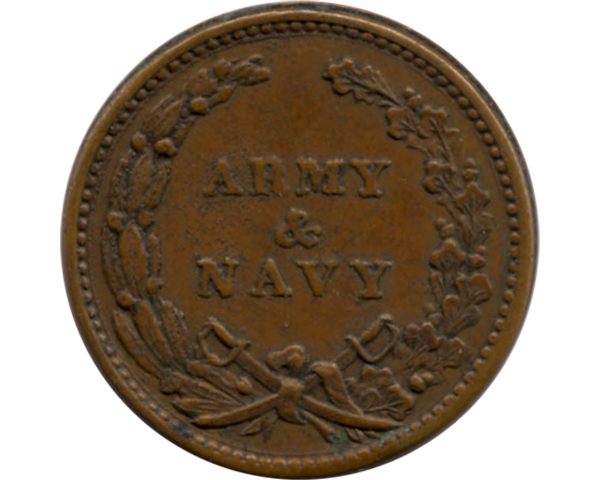 This one has a coinlike front and trumpets the "ARMY & NAVY" on the reverse.